Bill Good is selling another load of codswallop today on CKNW. Something about the British Columbia film industry and HST being inseparable. Film and video production in BC has been well established for years; it matured long before HST arrived. Also on the scene for years, and growing steadily, are tax credits, whereby BC citizens pay Canadian or international film and television production corporations to shoot here. Our subsidies must keep rising because we play leapfrog with other regions. HST puts more money in the pockets of producers but, since they paid little provincial tax anyway, it is not a deal breaker, only another sweetener. Bill Good and CKNW are simply doing what they have done from the beginning, which is trying to sell HST as a great device that allows citizens to subsidize corporations. Today, I won’t even discuss the fact that one of the biggest owners in the movie production services business is David McLean, railway tycoon, Liberal bagman and friend to Gordon Campbell and Christy Clark. Bill Good is nothing more than a high priced shill. Like a good whore, he sells himself to the highest bidder. Ever since the orchestrated removal of Raif Mair from CKNW, the radio station ceased to become an independent news source, rather, it has become a decade long infomercial, promoting Gordon Campbell's Liberals and all their friends. Bill Good is a Quisling, pure and simple. 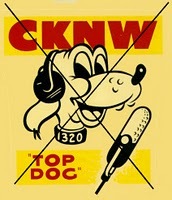 Seems CKNW is cut from the same cloth as Global BC. IMHO. With the BCR criminals caught, in their lies and corruption, we are calling for Campbell to be thrown in prison. De Jong and Christy Clark and brother, were also involved. All of those involved, should have their assets seized, to pay back everything stolen from the BC people. Perhaps some prison time would do, all of the criminals involved some good. This ugly, BC Liberal government, needs to be obliterated, right off the face of the planet. The filth of it all. You probably already know that Corus Radio, operators of CKNW, is controlled by Alberta's Shaw family. So is Global TV. Both corporations share the rags to riches values of the family who discovered there is much money to be made in government regulated monopolies, provided that you manage your political assets expertly and with appropriate generosity. They are all in sync. Norm Thank for including Alex Tsakumis BC Rail expose' on this site. The Basi Memos need to read by everyone and the MSM don't have the balls to print. There are no real investigative reporters left in the MSM. It would be great if all bloggers would post the Memos, with appropriate comments. Thanks.